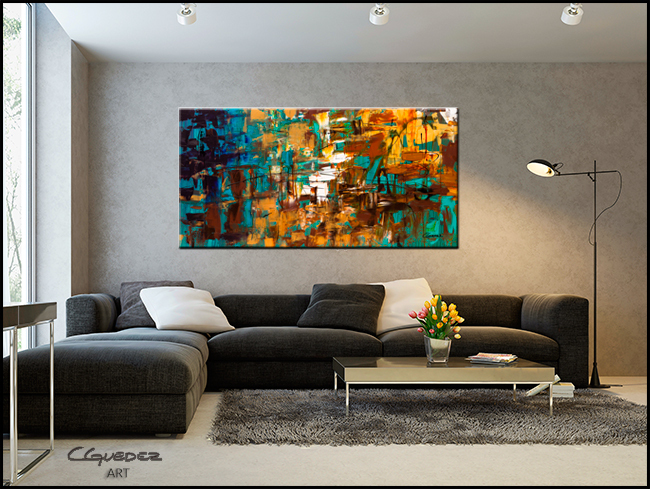 'Turquoise Scent' is an original abstract art painting. 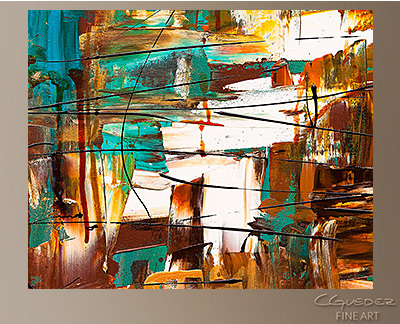 Add some color and a modern artistic flair to your room with this exquisite large wall art. 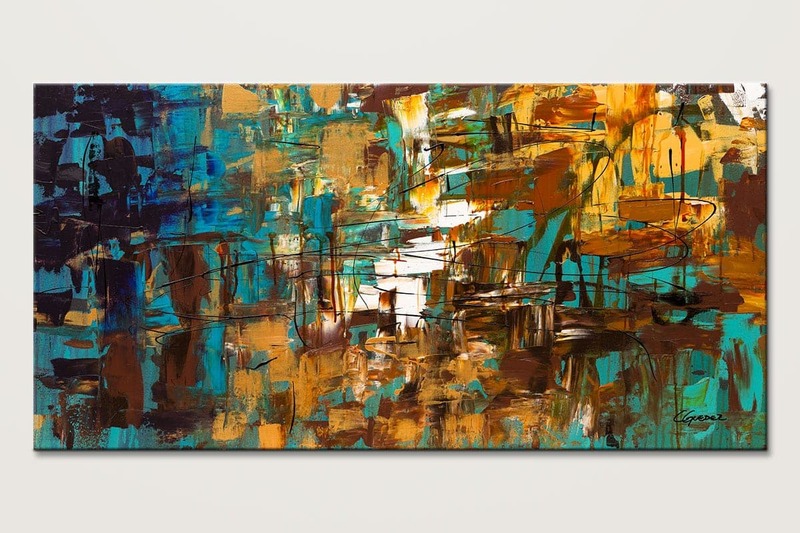 It features textured teal, turquoise, gold, yellow, brown, blue, green, white and black.